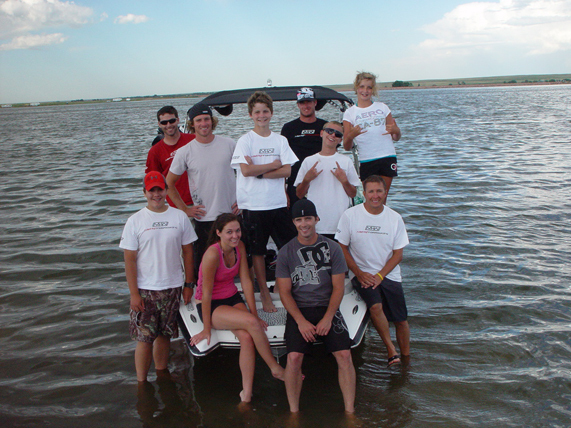 Are you looking for wakeboard boat rentals in Colorado? 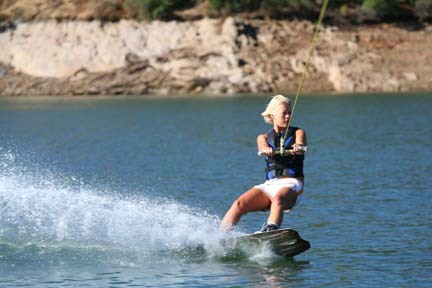 Mile High Wakeboarding rents wake boats and wakesurf boats on our very own private lakes. No crowds, no lines for the launch, no other boats. What a great way to spend a worry-free day on the water with your friends, family, coworkers, or group! 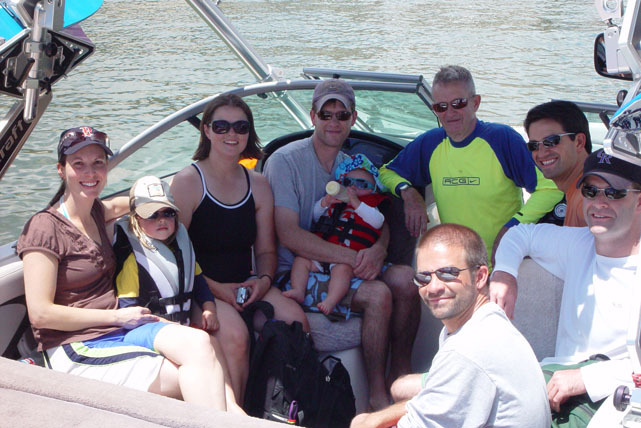 Whether you need to rent a boat for a special occasion, group event, or family outing, or would like to try the latest and greatest wakeboard boat before you buy, or just want to enjoy a worry free day on the water, we are happy to get you on the water. Our fleet of Nautique G23 and Nautique G21 wakeboard boats are the very best money can buy, and are never older than the current year. For additional information, or to make a reservation, use our contact page. The number of ride sessions will vary depending on the skill level, fitness level, and duration of each rider within your group of riders. Regardless of the number of participants, an accurate way to estimate time on a boat is to allow up to 30 minutes per “beginner” or “first-timer” ride session (wakeboarding or wakesurfing or wake foiling), or as little as 10 minutes for each “experienced” rider session. This can be organized in any way needed to fit the skill levels, needs, and size of your group. Our wakeboard boats are always the latest and greatest, and are extremely versatile in wake size and shape, and loaded with every option you can think of or will ever need. Depending on who’s in your group, we can customize the boat to fit their skill level and watersport, and our drivers/instructors can tow or teach anyone, at any skill level. 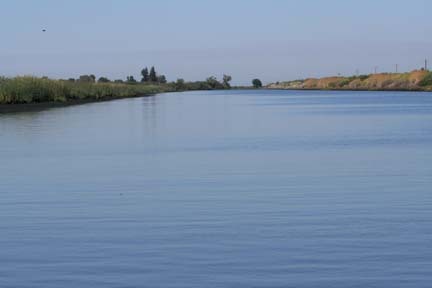 The boats will hold up to 12 or more, but we recommend limiting your group to 6 people at a time (or at least 6-8 in the boat at a time) for a more comfortable day on the water. That said, you call it and we’ll make it happen. At all of our private lakes, there is also plenty of room on the shore to set up a shade, and we’ll be the only people there. 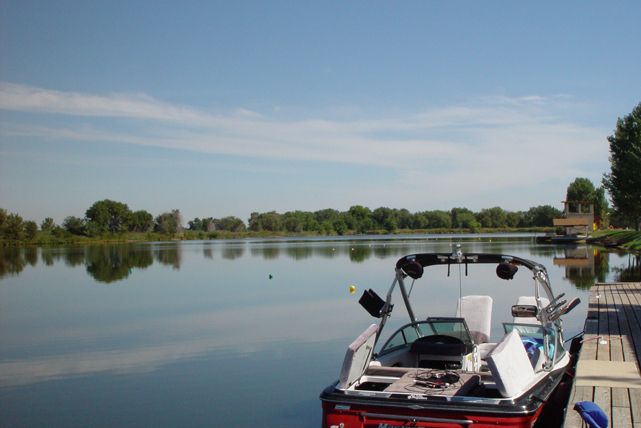 Boat rentals are always at our private lakes North of Denver. A typical boat rental will start at 10am or 12pm depending on the duration of the boat rental and your specific needs. To make the most of your time with us, it’s a good idea to be at the dock, gate, or designated meeting point 30 minutes early for your booked session. All of our lakes have 10mph speed limit on property so be sure to inform all of your guests. Time permitting, our instructors and team riders will typically ride before or after a session. It’s always exciting to watch! Colorado weather can sometimes change by the minute so MHW always reserves the right to reschedule any boat rental session due to poor or unsafe weather.